The last twenty years have seen the uptake of cell phones, the penetration of PCs in every home, the birth of Apps and the Cloud, the recent tablet mania and so much more. They have also seen a dramatic decrease of cost, in communications and devices, the shift of economic power and the rise of new players in Information and Telecommunications area. It might seem that most of what could have possibly happen happened. Not so. In the next twenty years we are going to see not 5 billion connected people but 100 billion connected objects, we are going to see connections taking place not from one device to the other but from one ambient to the other, we are going to see not communication networks but communications spaces, we are going to see the fading away of the boundary between atoms and bits. What are the hurdles in the next twenty years path, what are the opportunities? It is not the time to sit back and watch what is happening, rather it is the time to lean forward and shape our future. And this is the real news for the next two decades: each of us can be a player and can make a difference. 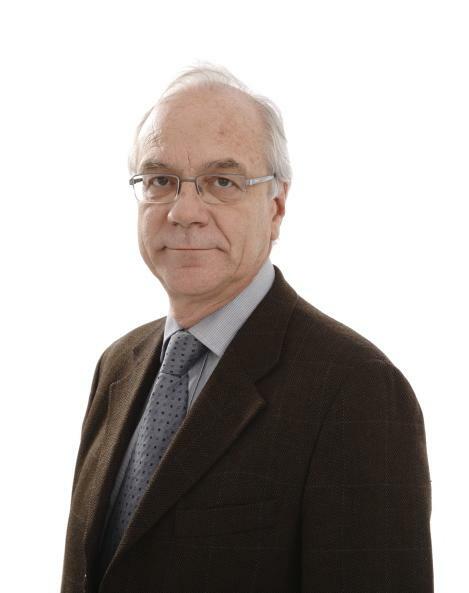 Roberto Saracco is the President of EIT Italy and Node Director of EIT Italy based in Trento (European Institute for Innovation and Technology). Up to December 2011 he was the Director of the Future Centre in Venice, responsible for innovative telecommunications architectures and scientific communications reporting directly to the Strategy Officer of Telecom Italia. In 2001 he became director of the Future Centre, a research centre focusing on the economic impact of innovations in the telecommunications area. During 1999 and 2000, Roberto proposed and delivered a World Bank project in the InfoDev framework to speed entrepreneurship in Latin American countries, and prior, 1999 and 2000, he proposed and carried out a World Bank project in the InfoDev framework to foster entrepreneurship in Latin America countries. 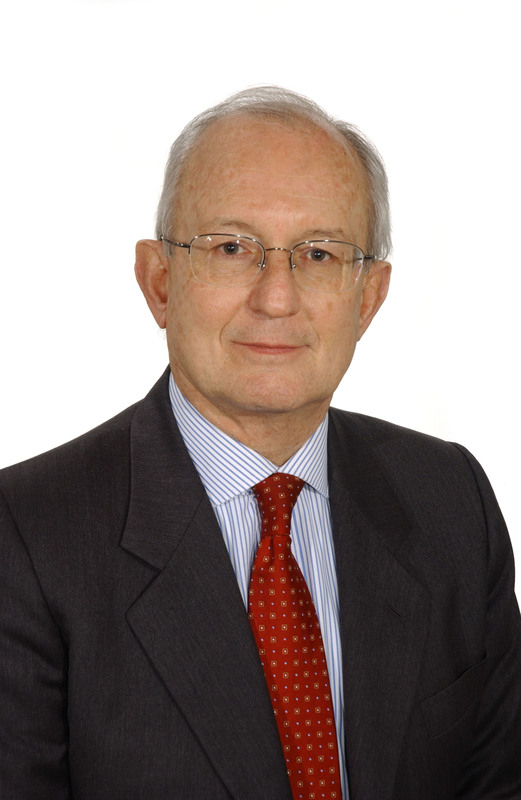 Roberto chaired the Visionary Group (1996-1997) on Super Intelligent Networks to steer the cooperative research at the European Union (EU) level beyond the year 2000. He has recently served as member of the Internet 2020 Strategy Group and European Research Network (GEANT) expert group. In 1994 he launched the Marketing & Communications area in CSELT, ensuring dissemination of innovation. In the eighties, Roberto led research in Telecommunications Management in CSELT, and actively participated in standardization activities at CCITT, in the area of formal description techniques. Prior this role, he was involved in software design for the first Italian SPC systems. In addition to CCITT, Roberto has directly, and indirectly, participated in a number of international standardization organizations including OSI, ETSI and T1M1. His leadership includes chairing an EU-level group for planning, leading European research activities in the area of software technologies, and the EURESCOM group in designing the framework for European co-operation on TMN. He has led the EURESCOM group in information modeling for Pan European Services and Network Management. He is a senior member of IEEE, that he joined over 20 years ago. In the last 15 years he has held several leading roles and conducted a number of DLTs and DSPs. Currently he is the Director of the Sister and Related Societies of COMSOC. Previously he has served as VP of Member Relations, Director of Marketing, Chair of the CNOM and Enterprise Management TCs. A unique aspect of Engineering practice is " …the ..process of creating, developing, integrating, sharing and applying knowledge …for the benefit of humanity & the profession" (from IEEE Mission Statement), or in other words, "...the practice of making good on the promise of technology". It is the integration of academic-based theory as applied to the “real world." Engineering practice, however, to remain relevant, must be innovative. Engineering is therefore, the evolution of progress to what we have today, with the promise of making a better world, a better future, to mankind. This creates a challenge for the ability of either academia or industry on their own to adequately “teach Engineering”. The increased cost of continuing, life-long education of practicing engineers makes it even a greater challenge, of course. The typical consequence is that in academic setting, either theory is emphasized, with little association to applications, or in an industry setting only the "practical" applications are considered and those become a “cookbook” approach for all engineering issues. Bridging the gap between the knowledge in academia and applications in industry is critical to any successful Engineering practice. Academia can advance innovation with a responsible vision, while industry entrepreneurs develop new applications for the newly developed science and technology. 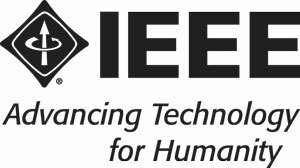 IEEE and similar professional societies, provide a broad spectrum, global platform, for discussing the manner of application of technology, encompassing the technological, scientific and ethical considerations, thus helping build a successful global society, encompassing science, technology, business and government. Elya B. Joffe - C.V. In today's global world, connectivity to the network all the time and everywhere is taken for granted. Mobility supports interactions whenever desired, connecting everybody and everything. This enables people to collaborate, innovate, learn, participate in ways we never thought possible and leaves much more yet to discover. In the Networked Society anything that can benefit from a connection will be connected. It took one hundred years to connect one billion places, but only around 20 years to connect six billion subscriptions. We expect to see 50 billion connected devices by 2020. In this Networked Society where connectivity is the fuel of progress, the reliable and predictable performance of the underlying technology and operations is a key to a growing future for all. Networks must be transformed to become smart, scalable and give superior performance. The success of the Networked Society will rest on our ability to bring together broadband, mobility, and cloud computing. 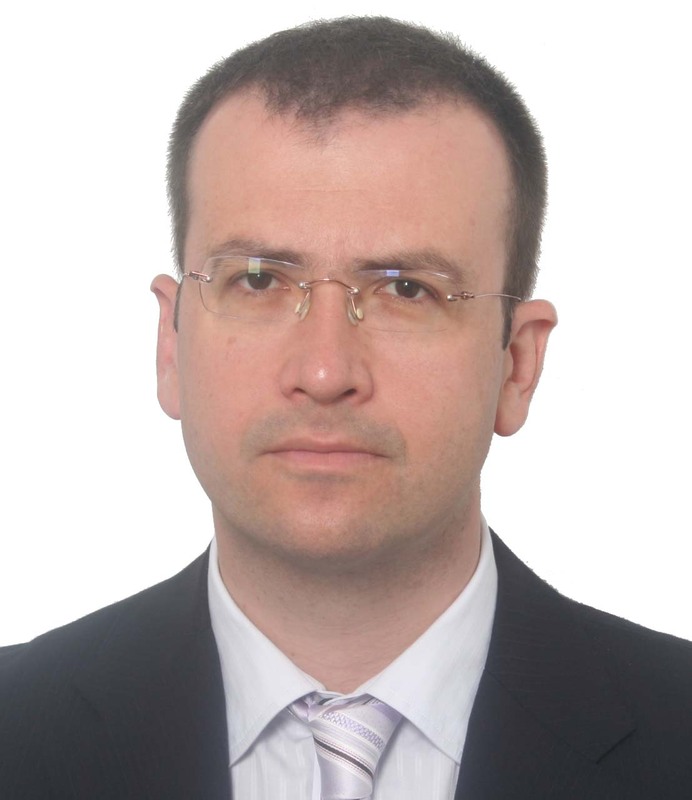 Sinisa Krajnovic is a senior executive in Ericsson with more than 10 years of international management experience. Since 2011 he has been living in Stockholm and working in Ericsson Sweden as Vice President and Head of Development Unit Core & IMS. He earned his PhD degree from the University of Zagreb, Croatia. He is Professor at the Zagreb School of Economics and Management, and Director of their General MBA Program. In this talk I will describe the problems related to the energy consumption of telecommunication networks, and the approaches for energy efficiency developed within the FP7 Network of Excellence TREND (Towards Real Energy-efficient Network Design). I will finally provide some details on savings made possible by adopting base station sleep modes in cellular networks. Marco Ajmone Marsan is Professor of Telecommunications at the Politecnico di Torino in Italy, and Chief Researcher at the Institute IMDEA Networks in Spain. He was the Vice-Rector for Research, Innovation and Technology Transfer at the Politecnico di Torino from 2005 to 2009. From 2002 to 2007 he was the Director of the Institute for Electronics, Information and Telecommunications Engineering of the National Research Council. He is the Italian Delegate in the ERC Committee of the 7th Framework Programme of the EU. His main present research interest is in energy-efficient networking, and in the applications of ICT for energy efficiency. Can Ontology Help To Improve Agile Software Development? The needs for establishing clear Software Engineering standards have been recognised quite long time ago. However, principles of the agile software development are heavily dependent on the use of tacit knowledge possessed by the skilled and motivated employees and their frequent communications. Many of the companies which are applyng agile software development approach are small or middle size enterprises with limited resources which can be spent on processes related to Software Engineering training, usage and support. The Agile Manifesto’ 5th principle is “Build projects around motivated individuals. Give them the environment and support they need, and trust them to get the job done.” Thus, there is a need to support improvement of such working environments. An ontological approach for process-driven Software Quality Assurance (SQA) support for agile software development is explored in this talk. In particular, the challenges related to the role of Quality Assurance in agile projects by developing a process-driven supporting tool are considered. This involves the type of software process the developer is dealing with, as well as its SQA requirements, quality attributes, SQA measurements, SQA metrics and related techniques and procedures. more than 140 other publications. He is a Fellow of the British Computer Society, Senior Member of the IEEE and a member of the ACM and the New York Academy of Sciences. He is currently a member of the Editorial Boards of the ‘IEEE Communications Magazine”, “Cybernetics and Systems Analysis”, “Journal of Information and Organizational Sciences” and “CompSIS”. Computers have evolved for more than half a century and reached some maturity. Specifically, consider so-called Artificial Moral Agents. Such machines incorporate programs with Artificial Intelligence that can act as Agents with some degree of autonomy. Thus they show behavior that may be unpredictable and should therefore be subject to rules, more precisely to rules of moral behavior or ethics, hence the arising new field of Machine Ethics. This is in distinction to robot ethics or Roboethics, which is concerned with the moral behavior of humans involved in building robots and dealing with them. The talk will take a look at some earlier and also recent ongoing efforts in the evolving field of Machine Ethics. The origins were in science fiction as shown in Isaac Asimow’s Three Laws of Robotics. Actual military deployment in drone warfare has raised the attention threshold. Of gaining importance has been collection of personal information and how to deal with it. Related more abstract issues concern the notions of machine consciousness and the process of learning machines. Dr. Luderer was with AT&T Bell Labs, at last directing research on next generation switch architectures, based on fast packet switching technology on the hardware side and object-oriented design technology on the software side, resulting in some of the earliest demonstration networks for multimedia communication. Dr. Luderer holds Diplomingenieur (M.S) and Dr.-Ing. (Ph.D) degrees in Electrical Engineering from the Technical University of Braunschweig, Germany. He holds two patents. While at Bell Labs, he taught at Stevens Institute of Technology in Hoboken, NJ, and at Princeton University. He is member of ACM, IEEE, IEEE Computer and Communication Societies. Quantum components transmission on neural terminals has been discovered by Nobel prize winner B. Katz ( J. Physiology London 1950- 53) and extended by B. Soucek ( J. Theor. Biol. 1971; Biophysical J. 1971; until now): Cell, Brain, Mind, event components and trains. Branko Soucek, Professor of the Computer and Brain Networks, at the Universities of Zagreb, New York and Arizona. Expert for the United Nation Agencies UNIDO, and IAEA. Researcher and consultant for the NASA, IBM, Siemens, Schering, Brookhaven National Laboratory, Institute Ruder Boskovic. Prof. Soucek has published 10 books with Wiley Inc., New York: mini and micro computers, neural networks, real time systems, genetic programming, object recognition, neurobiology, learning, mind. His books have been translated into the Croatian, Russian and Japanese languages in over 100.000 copies. 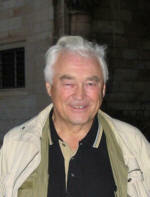 Prof. Soucek biography is included in the: 1. “International Scientist of the Year for 2003”, England; 2. “Who is Who in the World 2003”,USA; 3. “Who is Who in Science and Engineering 2003”, USA. His achievements include authoring and discovering the brain internal language organization bilo; the brain mind attractions brama; the brain event train bet; the brain mind tissue tiss; the brain mind self organization so; the computer mega associator.